Share documents in style with a customized 10 1/2" x 4 3/4" document envelope. Printed offset on 12 pt. paper board, liquid laminated for a high gloss finish and uncoated back. 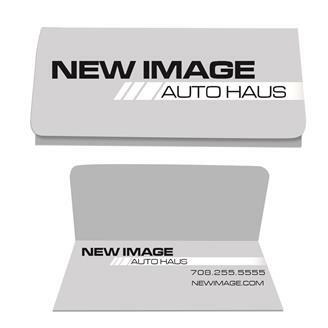 A great way to present in style while promoting your company! Can be fully customized! Size : 10 1/2" x 4 3/4"